Almost everyone has needed to get a prescription at one point, could be an antibiotic or something to help with blood pressure. When going to pay for the prescription, using your insurance could actually cost you more. There have been stories (like this one that PBS wrote about https://www.pbs.org/newshour/health/why-a-patient-paid-a-285-copay-for-a-40-drug) where a woman paid a $285 copay for a $40 prescription. Unfortunately, this is not an uncommon occurrence. So what can you do to make sure you do not over pay? There are multiple ways to make sure that you pay the lowest price for your prescription. The first is to ask the cash price. This will allow you to see if paying it in cash is actually cheaper than your copay. However, also check various pharmacies to see their price. Furthermore, there are websites that allow you to put your zip code and the prescription you need. Then it will tell you the price at various pharmacies around you. 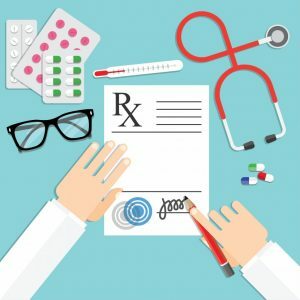 So just like you would check to get the best deal on a new television or computer, you can do the same for your prescriptions. Below are multiple places where you can compare prices of prescriptions.